Revain is thrilled to announce unique competition in partnership with KuCoin exchange where Lamborghini Huracan Coupe will be presented as the main prize. 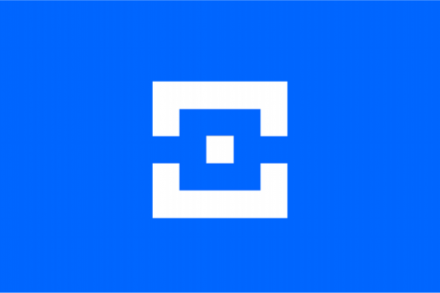 The competition will mark a historic milestone as Revain is continuing gaining momentum both in terms of product development and popularity as well as token performance. The competition starts at 12:00 on February 12th (UTC+8) and ends at 23:59 on February 22nd (UTC+8). The rules are simple, all you need to do is to go to KuCoin Exchange and buy R tokens. Top 999 buyers by volume will receive a certain amount of ETH (see the table below). 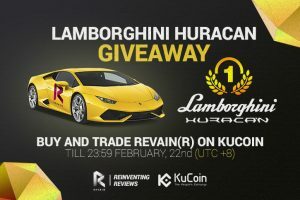 The top buyer of R tokens will receive very unique prize – Lamborghini Huracan Coupe. Good luck!